The NALAS Network of EU Project Managers, coming from member LGAs and SEE local governments, is an indispensable resource in EU fundraising and addressing local government issues at EU level. NALAS is committed to developing the capacities of this network to enable it achieve even better results. A workshop on communication, screening and EU know-how is organised by NALAS and GIZ ORF-MMS, in Zagreb, Croatia, 3-6 April 2017. 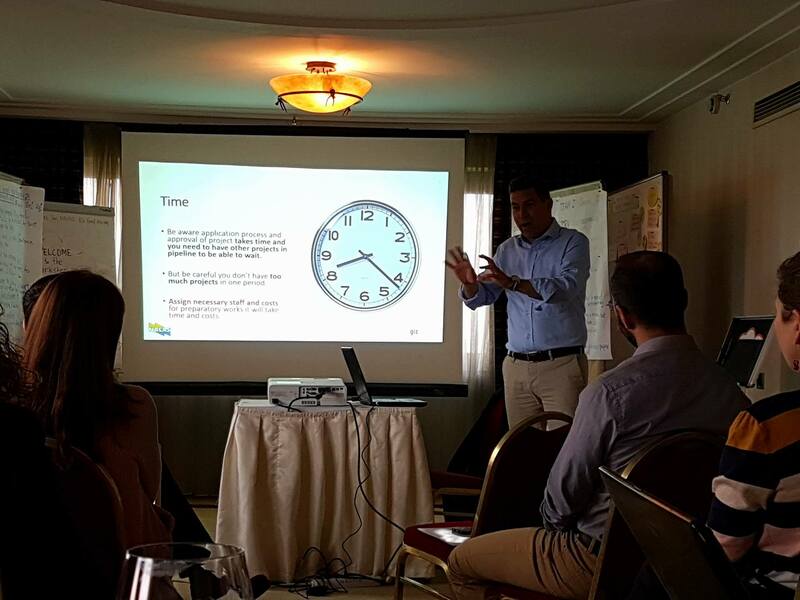 The workshop finalised and verified NALAS EU Unique Selling Propositions, that will be a base for promoting NALAS in its future EU fundraising efforts. “NALAS has many important competitive advantages, that make the network a unique EU project partner that can provide invaluable contribution in project consortiums. Our coverage and representation, the knowledge we produce, the tools and mechanisms of our Knowledge Centre, our managerial capacities, just to mention a few”, said Jelena Janevska, NALAS Knowledge and Communications Manager. 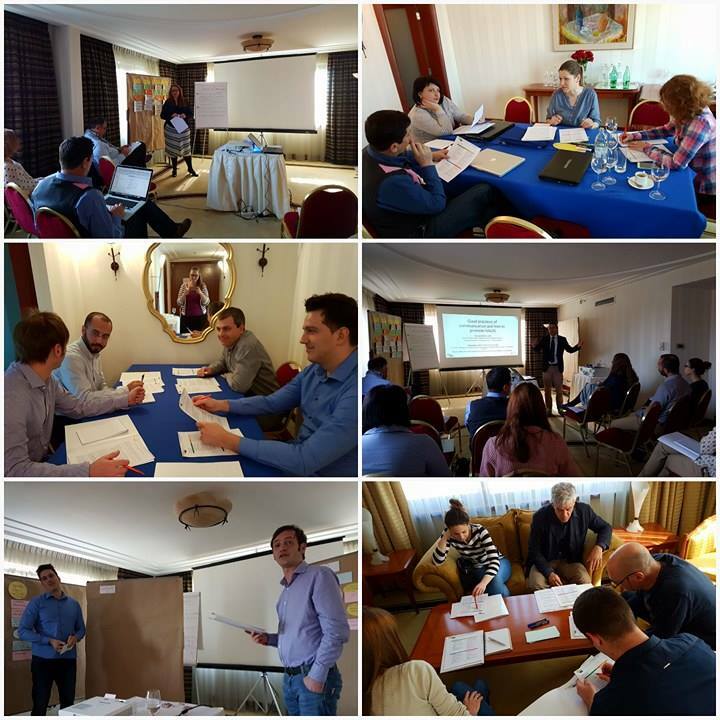 The group worked on advancing its communication, presentation and negotiation skills in the context of EU fundraising and participation in EU projects consortiums. “Make sure you put efforts in communicating the story of the project that needs to present the value of the project for the target groups“, pointed out Jurij Kobal, an EU fundraising expert. 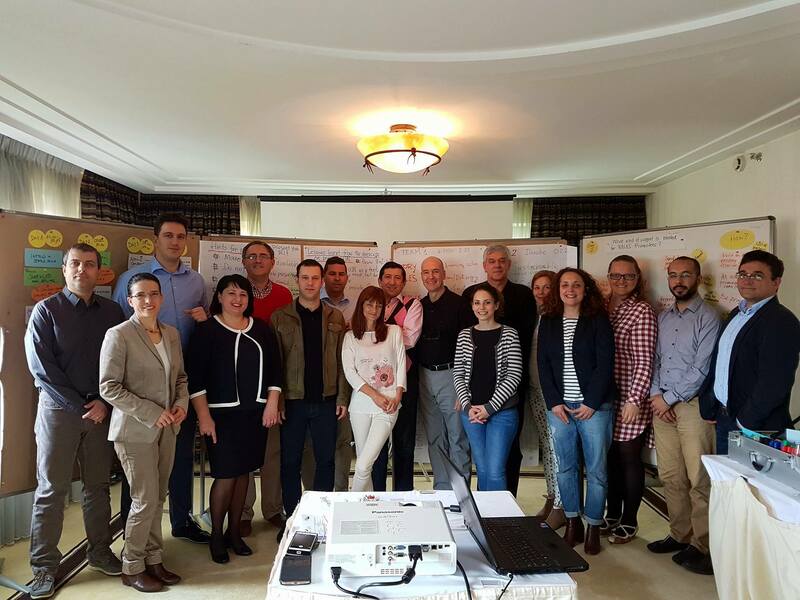 Using the learning by doing principle, the Network of EU Project Managers worked on developing the details for possible projects for three upcoming EU calls, focused on energy efficiency, sustainable tourism and disaster risk management. They focused on the process of application, reviewing the necessary background documents, and phases in preparing the application. The next two capacity development interventions will be a basic and advanced project cycle management trainings, that will not only provide the necessary skills, but also result with drafted project applications. The project “Capacity Development measures for NALAS EU fundraising” is supported by the GIZ Open Regional Fund Modernisation of Municipal Services (ORF MMS).